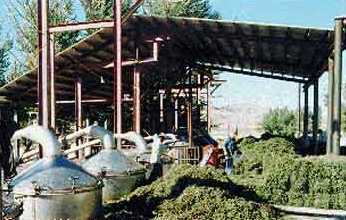 Young Living is one of the world’s largest herb farms for the production of essential oils. Young Living cultivates over 2,000 acres Idaho & Utah, as well as farms in France. The Young Living Farm is the bedrock of Young Livings Essential Oils, which is one of only a select few companies in the world that is growing from seed, harvesting, distilling, producing, formulating, packaging, and marketing pure A-grade essential oils. No matter what time of year you visit the Young Living farm, you will get an inside look at some phase of our planting and distilling operations. In the spring you will see the starts being planted and the fields being cultivated. 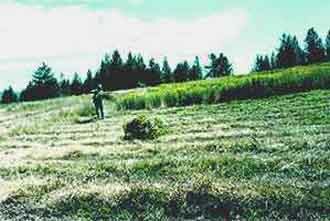 In the summer and fall you will not only view vast organic fields of lavender, peppermint, clary sage, and other herbs, but you will also witness acres and acres of herbs being harvested by Young Living’s custom-engineering cultivation equipment and distilled in Young Living’s specially-designed stainless steel distilling chambers. In the winter you will have a chance to watch the starts being planted and tended in over 70,000 square feet of greenhouse space. Young Living’s specially designed and built distillers are the only stainless steel, vertical steam distillers in North America. Young Living takes extraordinary pains to preserve all of the fragile chemical constituents the essential oils. Plants are steam distilled in small batches for extended periods using a special low pressure, low heat, vertical steam technology. The cookers are constructed from costly stainless steel alloys to minimize the possibility of the essential oil being chemically altered by more reactive metals such as aluminum, steel or copper. The results are grade A masterpieces with unsurpassed therapeutic properties.